Ford Workers Rejecting Contract: What Next? By a margin of 48% “yes” to 52% “no”, it seems that Ford workers are about to reject a contract proposed by their union leadership. The final vote will be announced on Saturday (Nov. 21). After years of concessions, with new hires making just $19/hour (only slightly above what many think the minimum wage should be! 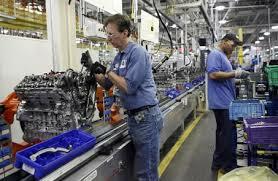 ), with unemployment dropping, and with Ford reportedly making almost $25 million per day, workers’ expectations have been high. 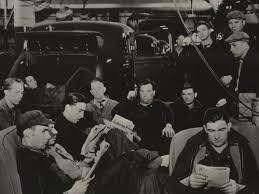 Workers at Ford auto. They expect something better. One worker explained: “People are upset, because the objective was to eliminate the tiers, but they’ve added more tiers. And they have the smokescreen with the eight years grow-in period, but we only have four years to the end of the contract. “And for the older employees, a lot of the concessions they gave up to keep Ford profitable and keep it afloat, they aren’t getting their money back. In ten years we’re going to be making the same money now, and we’re going to be behind the increase in the cost of living. Rejecting what workers consider an inferior contract is a good first step, but only a first step. in their power to erase those traditions, so the threat is real. It doesn’t mean that workers should bow down before the threat; it simply means that a return to the traditions of the ’30s is needed now more than ever. Meanwhile, the UAW leadership has stood aside from some of the main struggles in the US. The most important of these has been the struggle against police murders of black people and others. As one UAW member in Ferguson reported at the height of the protests in August of last year, his leadership had told him “this is not our battle.” Just the opposite is the case. The other threat is that of runaway shops. Even under the present contract proposal, Ford is saying it will shift its production of auto’s (vs. SUV’s and light trucks) to Mexico, where labor costs are so much lower. 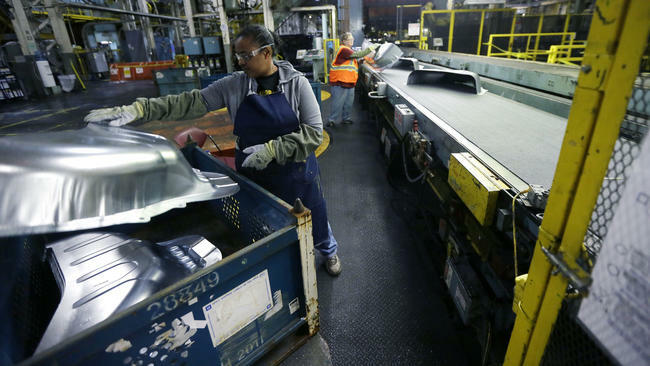 Worker at GM’s Pontiac Metal Plant: GM is planning on importing from China. And Ford is not alone. General Motors has announced that, for the first time, it will be importing vehicles (the Buick “Envision”) from China, where wages are even cheaper than in Mexico. Over a century ago, workers in the US realized that they couldn’t just fight on a local or regional basis; they had to organize nationally. Now, a qualitatively new step is needed: A jump from national struggle to try internationalism, not just in words but in deeds. Unfortunately, the union leadership chooses to line up with the employers, against workers in other countries, rather than lead the union to align itself with workers internationally. That’s why workers have to start organizing on their own, and today, with the internet, it’s easier than ever. There is no reason why dissident groups in the UAW cannot contact auto workers in Mexico, China and across the globe to discuss their common needs. That could be a first step towards real international action, including across-border strikes if necessary. There is no way to build such solidarity – neither with struggles here at home nor with workers in other countries – as long as auto workers accept concessions and inferior contracts. But the rejection of this Ford contract implies such a wider struggle.